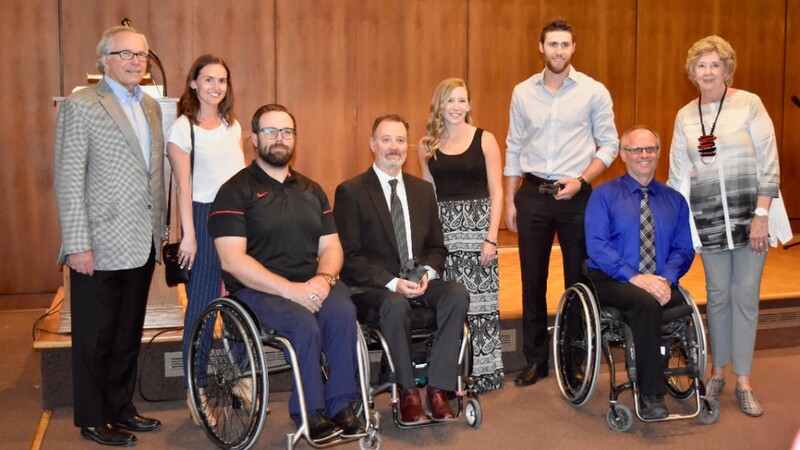 Canadian Sport Centre Manitoba > Updates > Press Releases > CSCM Celebrates Manitoba’s Olympic and Paralympic Athletes! Spring has seen celebrations across the nation. 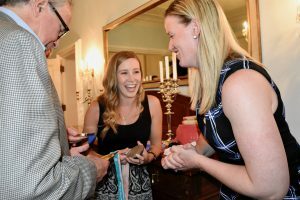 Parliament Hill hosted the Team Canada Celebration earlier this month and most recently, Manitoba-connected Team Canada athletes who competed in PyeongChang were celebrated at Government House in Winnipeg. 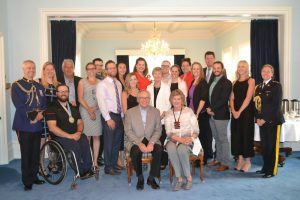 Last week, CSCM supporters, stakeholders, and Olympic and Paralympic alumni joined The Honourable Janice C. Filmon, C.M., O.M., Lieutenant Governor of Manitoba, to celebrate Manitoba’s Olympic and Paralympic athletes from the 2018 PyeongChang Games. 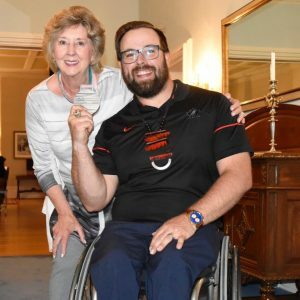 Manitoba athletes who competed in the 2018 PyeongChang Olympic and Paralympic Games received a card and a gift from the CSCM family to recognize their effort and achievement. 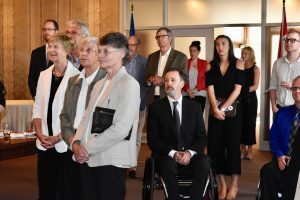 The jewellery piece was created by Manitoba’s own Hilary Druxman. Congratulations! 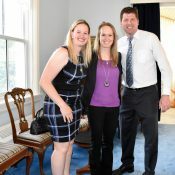 CSCM is extremely grateful for our generous donors and never tire of showing our appreciation, like through the celebration event at Government House. 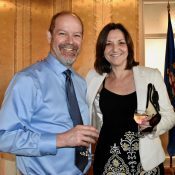 Your help allows us to provide services and support to Manitoba’s current and future Team Canada athletes. From strength & conditioning to sport psychology sessions, to financial assistance and more, you’re a part of it all! CSCM is excited to connect more with our National Team alumni. 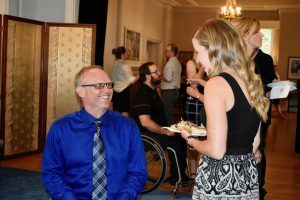 This past year, CSCM has started initiatives to re-engage with our alumni, including invitations to events and the AGM, to reaching out for advice and with updates on what’s happening at the Centre. CSCM believes that National Team alumni are an invaluable resource! Not just to us at the Centre, but to our current athlete population. Who better to mentor current and future National Team athletes than someone who has been there? 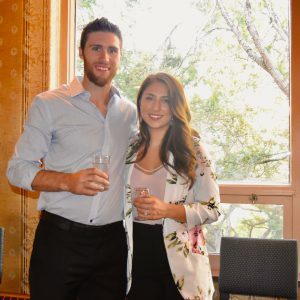 If you are an alumnus who is interested in connecting with the Centre and/or current athletes we’d love to hear from you. Please contact Scott Sywy at scott@cscm.ca or 204.474.7382.